As a website developer or operator, I always need to know if my site goes down and get an alert, verify if the site is performing well or if it is under an attack. 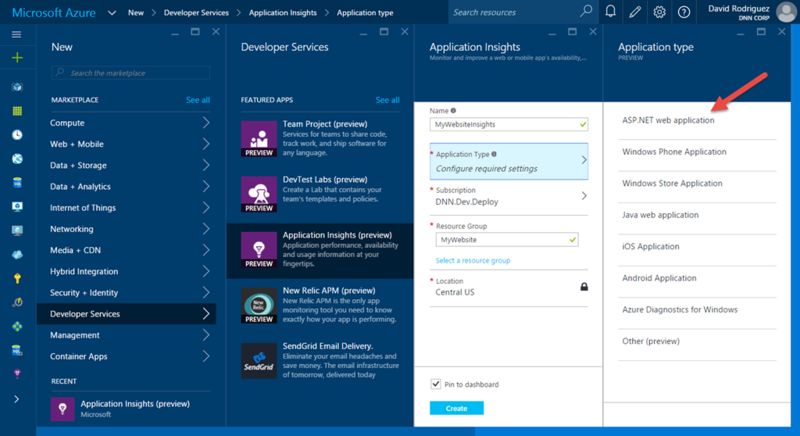 There are lot of tools today to give you an insight on what is happening on your web deployment, and one I’m using more and more is Visual Studio Application Insights. 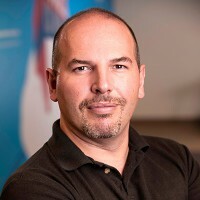 While AppInsights is still a “Preview” service (note that preview means that is not generally available, so no SLA is offered yet), you can start from a Free tier that probably fits the majority of small websites, and optionally start paying depending on the amount of telemetry data you send to the store. This gives to you a powerful insight and tools to operate, diagnose and fix issues immediately. There is still space for improvement, like adding UI to specify which performance counters you want to add (currently you have to manually edit the ~/ApplicationInsights.config file for this task). Feedback is welcome! Pull requests are welcome! And that is not all since more features are continuously being added to AppInsights. Can you imagine a service that automatically learns how your site is being used and alert you if an abnormal pattern is detected? You would like to contact AppInsightsML@microsoft.com to try it out! Now from the Releases folder https://github.com/davidjrh/dnn.appinsights/tree/master/Releases, download the latest module package version ending on "…Install.zip" (the Source.zip package contains the source code that is not needed for production websites). Once installed, a new menu under "Host (Advanced menu)>Application Insights" will allow you to paste the instrumentation key obtained on step 2. 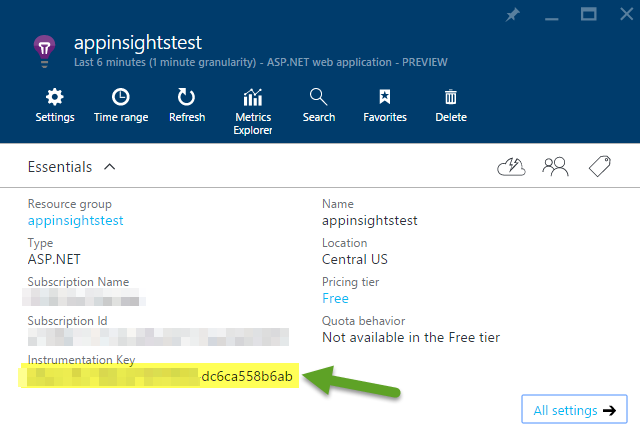 After applying the changes, you will start receiving data on AppInsights after a few minutes. What changes are done on my site? 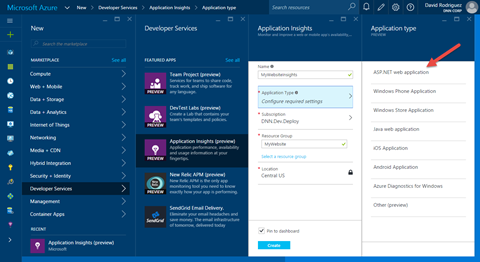 Some changes are done during the installation and other when Enabling the Application Insights module. 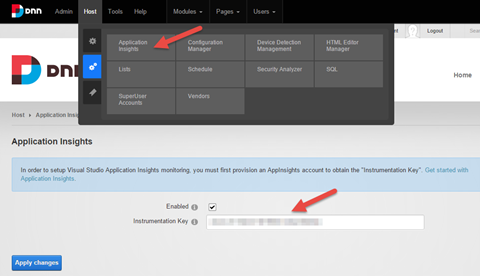 Note that by default, until you enable the module and specify an instrumentation key, any AppInsights module or assembly will be loaded and no telemetry data will be sent. If you disable or uninstall the module, all the previous changes are reverted. 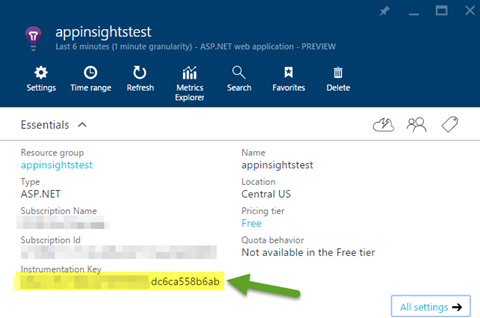 The following image illustrates the DNN event log data being sent to AppInsights, where you can search or filter by content, and why not, create some alerts based on any criteria.